Located between Atlanta and Macon, Griffin was once one of the most important cities in Georgia. At one time it was a hub for several rail lines and a center for manufacturing. Unfortunately, with the demise of rail and changes in manufacturing, Griffin’s train service ended and its mills went silent, leaving a community rich in history, if little else. Luckily, today Griffin lies within commuting distance of the Atlanta area, and some of its historic buildings have been renovated into housing and office space. In addition, the University of Georgia (UGA) has embarked on a plan to expand its Griffin presence from an experimental station into a true college. Passenger rail may even run again from Griffin to Atlanta soon, pending state approval. 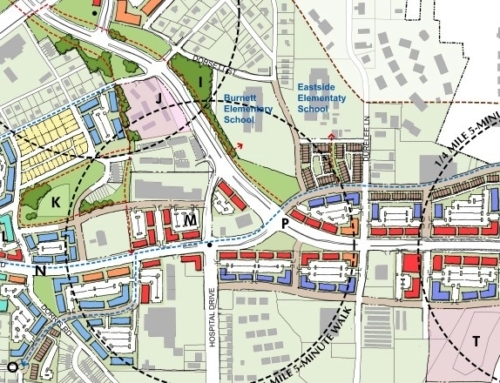 In 2008 TSW and subconsultants URS Corporation and Bleakly Advisory Group were retained to prepare an urban redevelopment plan for Griffin’s North Hill Street corridor for the purpose of creating a tax allocation district (TAD). 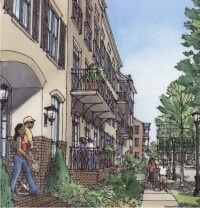 The corridor lies adjacent to the UGA campus, and links downtown Griffin to a new 1,500 unit retirement community to the its north. 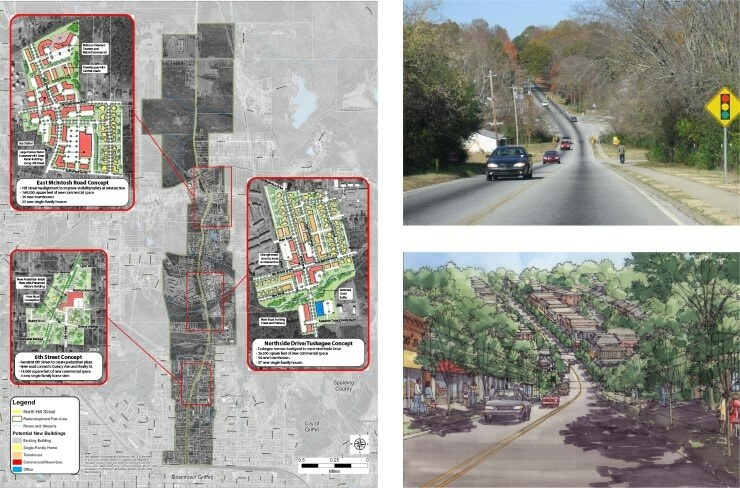 Goals included recommendations for transportation and infrastructure improvements, a design vision, historic preservation, and a financial analysis of the proposed TAD. Via a five month process, the team worked with stakeholders to define a vision for change. 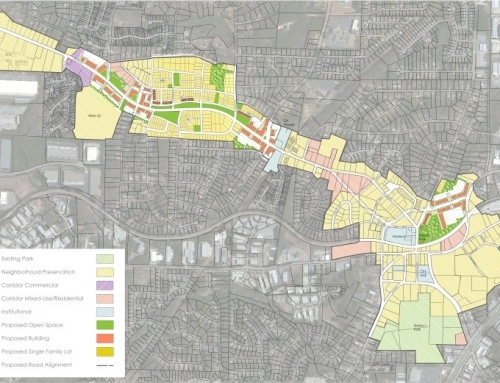 Because the corridor was located in both the City of Griffin and unincorporated Spalding County, the process united interests from both areas to come up with a unified plan that focused on wise planning rather than political boundaries. 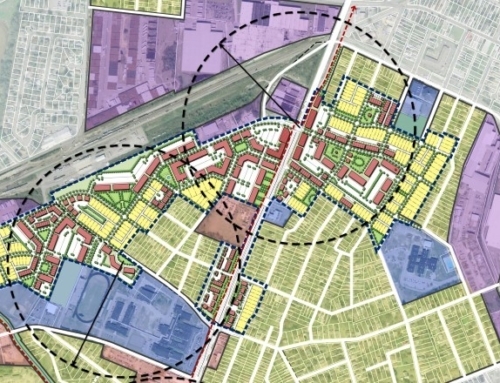 The plan identified catalytic redevelopment sites, with a focus on providing quality affordable housing and retail. 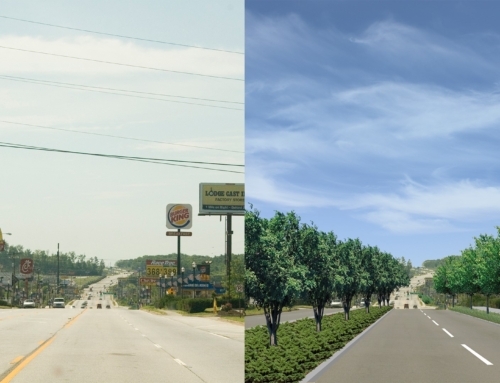 It included upgraded roadway and streetscape projects to unite the corridor and improve options for bicyclists, drivers, and pedestrians. 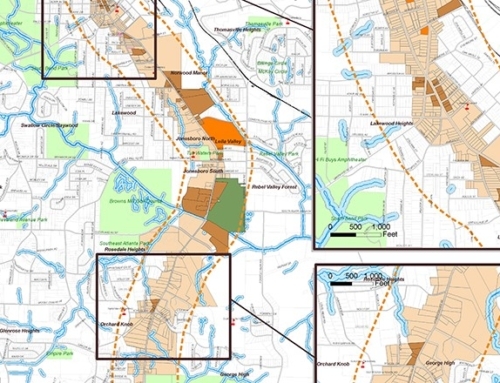 At key sites, new park spaces, historic markers, and greenways were also envisioned. The plan’s fiscal impact study then quantified the long term tax implications of “doing nothing” versus using a TAD to invest in the future of the corridor. It was determined that $25 million (of which only a small portion would be local funds) in public investment could generate more than $83 million in market value, which would generate roughly $1.2 million a year in new real estate taxes.